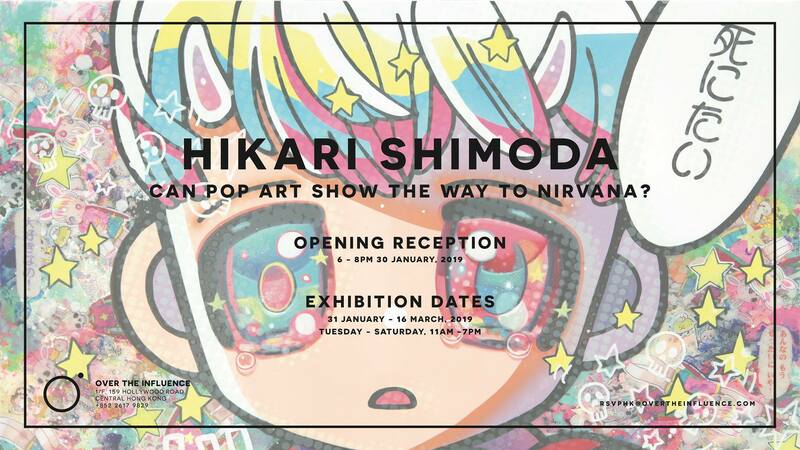 Opening this Wednesday, January 30th, Hikari will make her debut in Hong Kong at Over The Inlfuence with a new series of paintings entitled "Can Pop Art Show the Way to Nirvana?" An opening reception for the artist will be held at the gallery on January 30th, from 6 to 8pm. 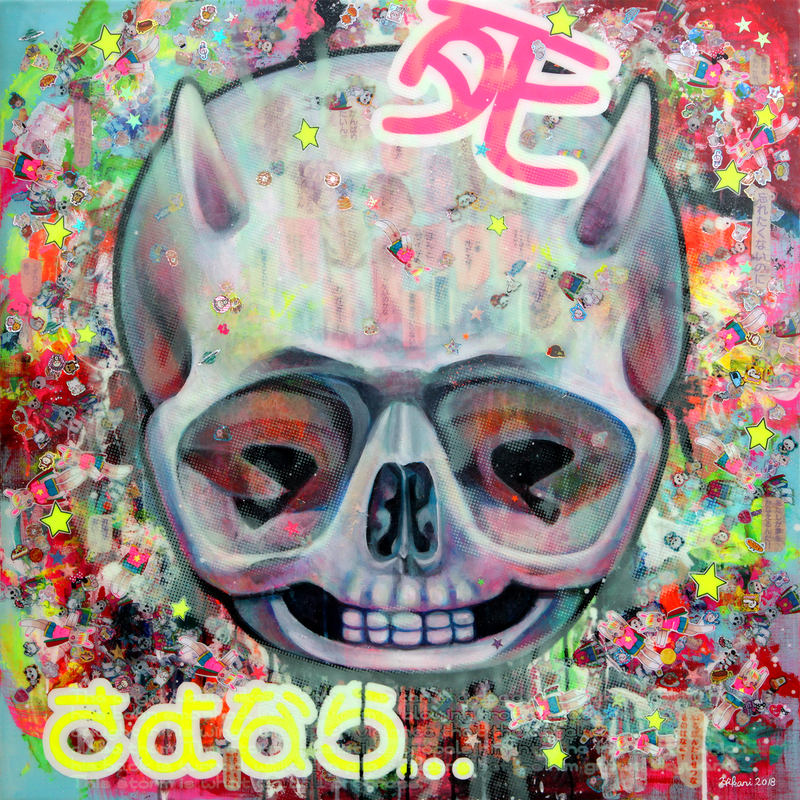 Check out a sneak peek of more work in the show below! 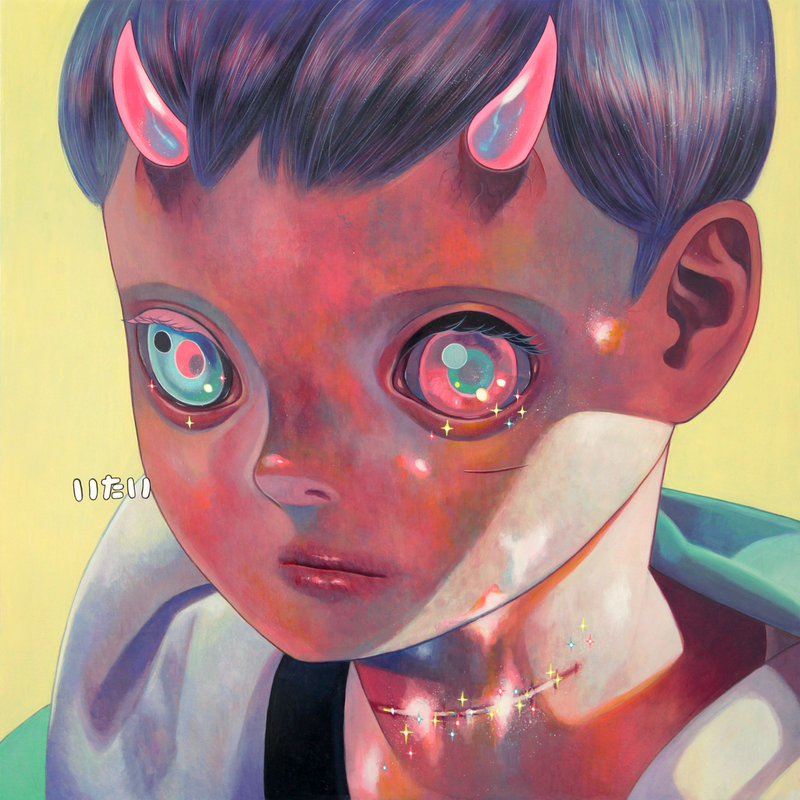 Depicting a world which merges fantasy and reality, past and future, death and life, Hikari Shimoda's works contain multitudes. 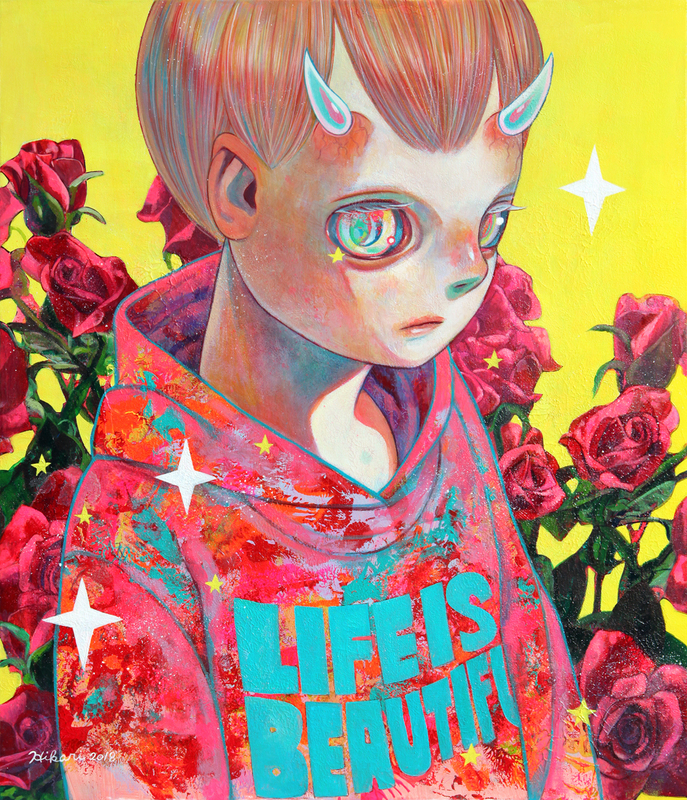 Concurrently portraying lightness and darkness, hope and despair, her richly imaginative paintings are manifest of an artist's continual search for understanding and salvation in a world of uncertainty. 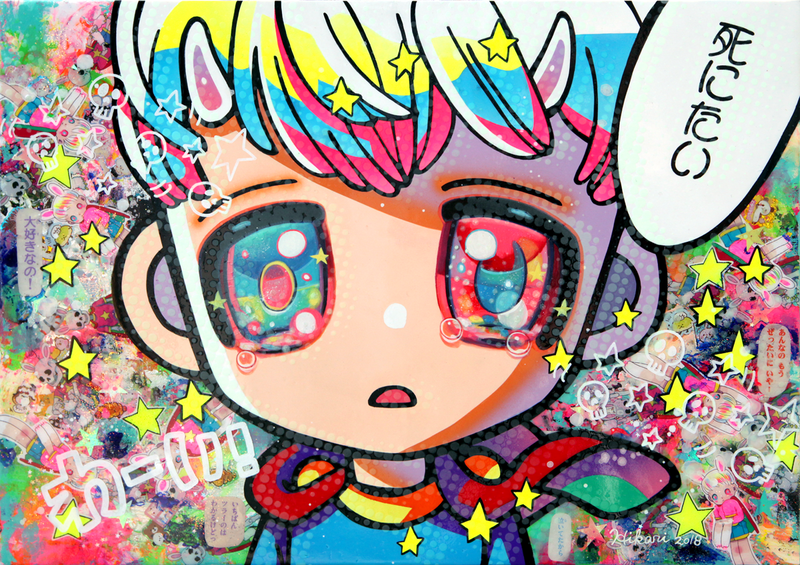 About the title of her exhibition, Hikari shares: “The word “POP” in pop art means popular culture, mass production and consumption take place as one of major themes of pop art. We are living in a world of mass production and mass consumption. Every kind of things is produced in quantity, and everyone is consuming. The same thing happens to art or literature. In other words, we are in a world where numerous words and images are consumed." In addition to a new series of works, the exhibition will also highlight works from Hikari's archives, previously on display at her 10 year retrospective at the Asahi Museum of Art in Nagano, Japan. Attendees will also be treated to a preview of projects to come, such as a new collectible figure produced by Apportfolio Asia. 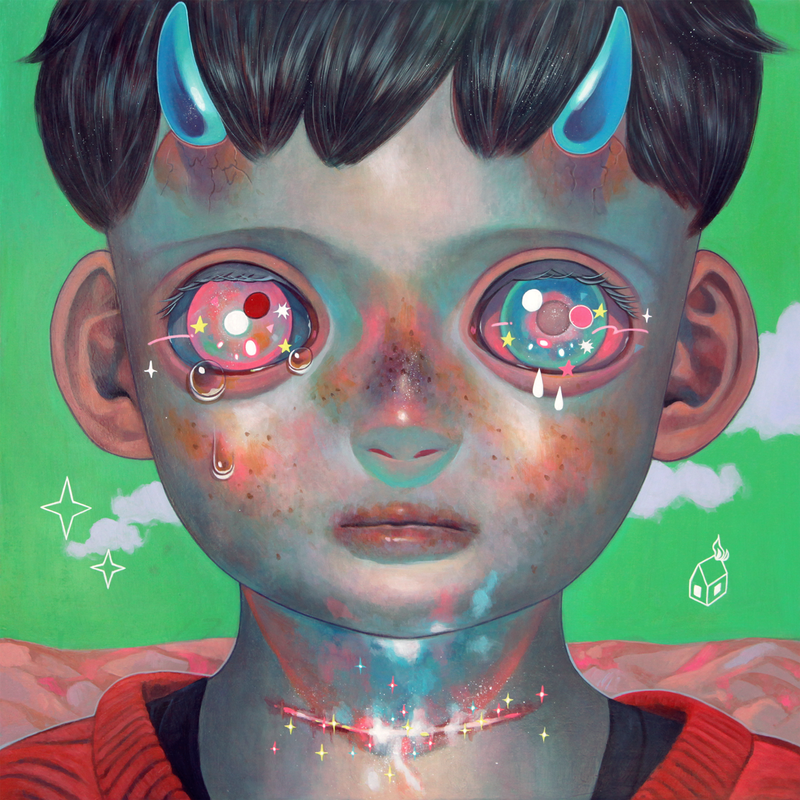 Hikari Shimoda's exhibition "Can Pop Art Show the Way to Nirvana?" will be on view from January 31st through through March 16th, 2019.